If you want a shower, make sure it’s compatible with your boiler system. “There’s nothing worse than having a fabulous new bathroom if you only get a dribble of a shower,” says The Blue Tile Company. 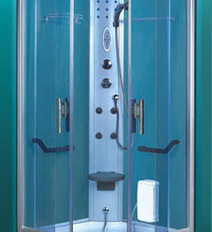 With a cold water tank, you need to know how many vertical metres there are between the tank and your shower. Sometimes you will need to install a pump to ensure a more forceful spray. If you have a combination boiler, check the literature to see what flow rate it should provide for a shower. Also recommended is putting in a water softener to prevent the build up of limescale deposits and to keep the shower running well and looking good. Another tip is to go for a tiled wet room rather than a separate shower enclosure and tray. It’s simple and efficient. When choosing a WC, bear in mind that wall-hung models leave the floor space clear for easy cleaning. For ease of movement and space to undress, allow at least 70cm space in front of or to the side of a bath or shower and in front of the basin. 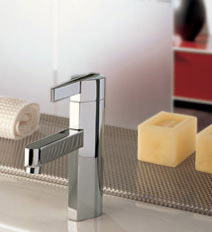 For a plumber in your local area, click here for details.